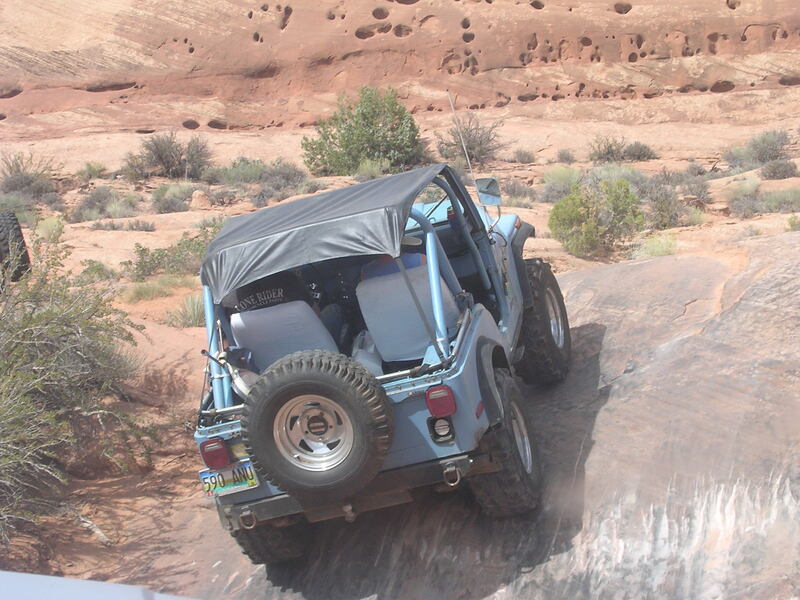 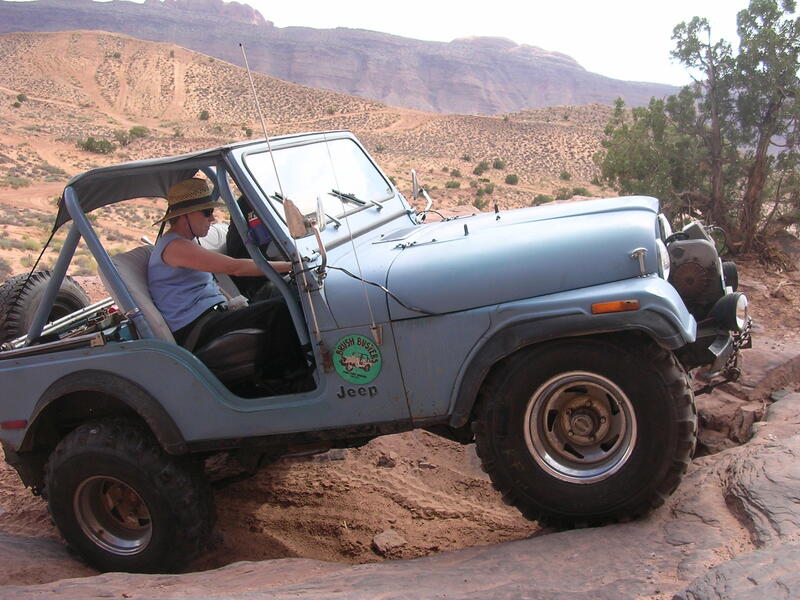 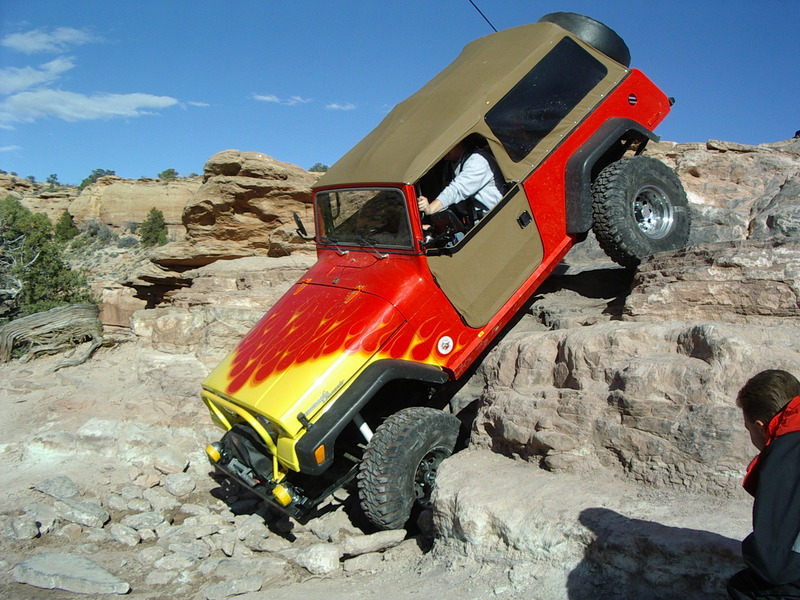 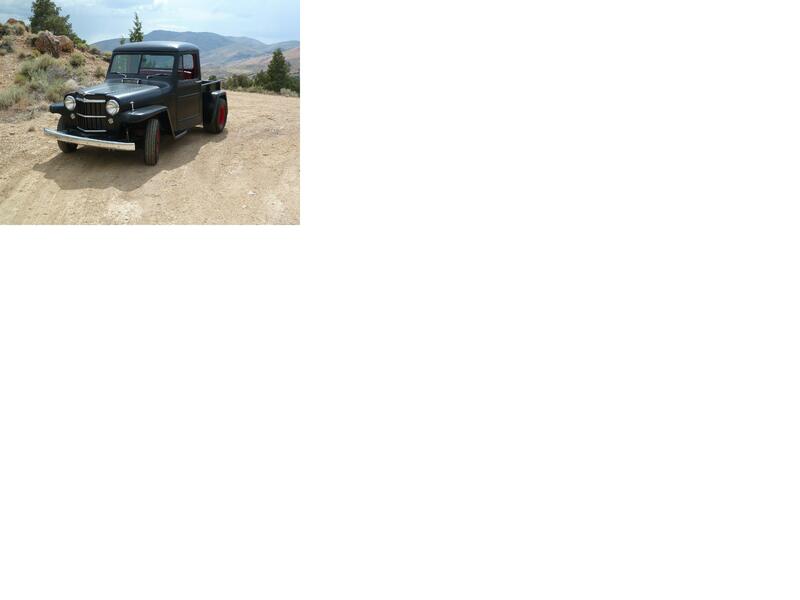 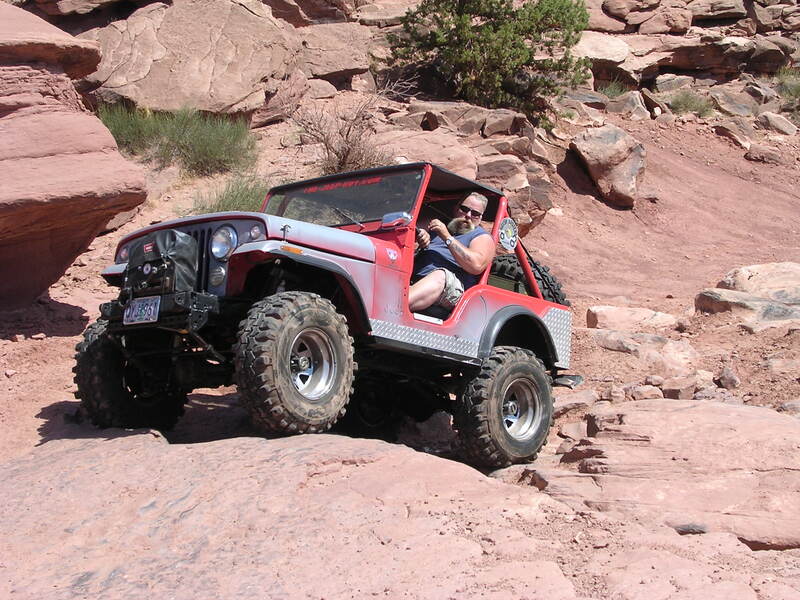 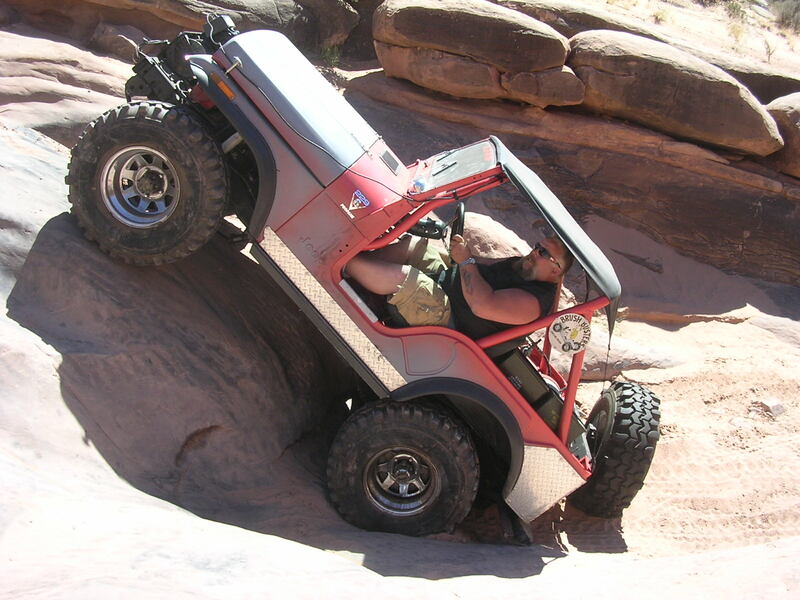 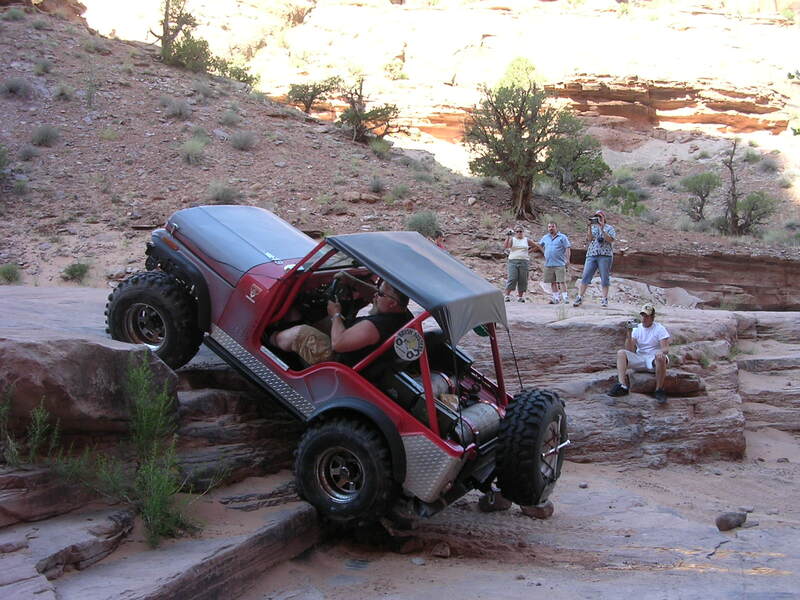 This is Thom and Terri on their trip to Moab in their cheepster. 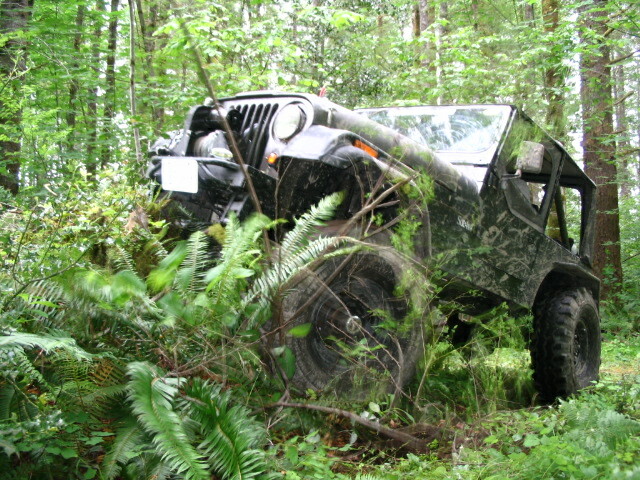 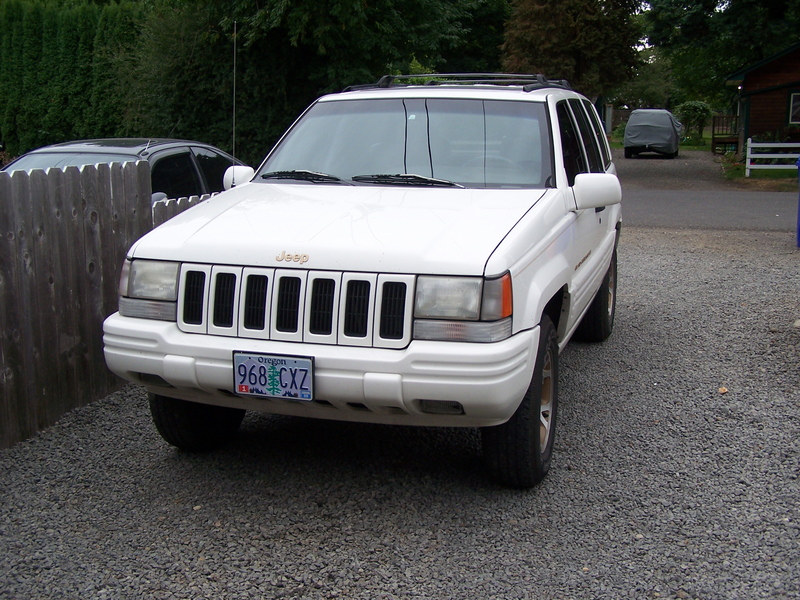 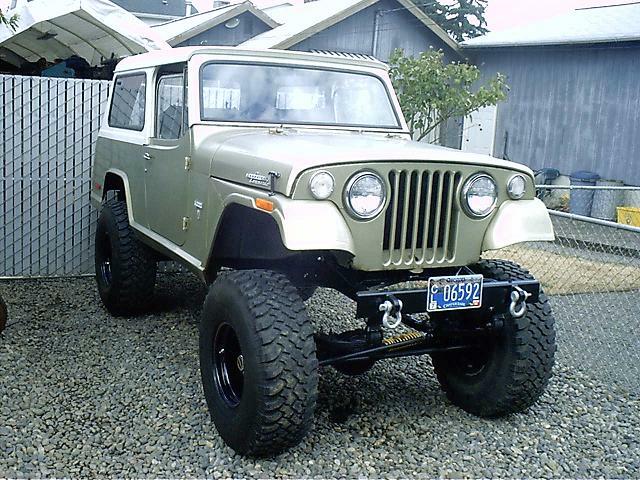 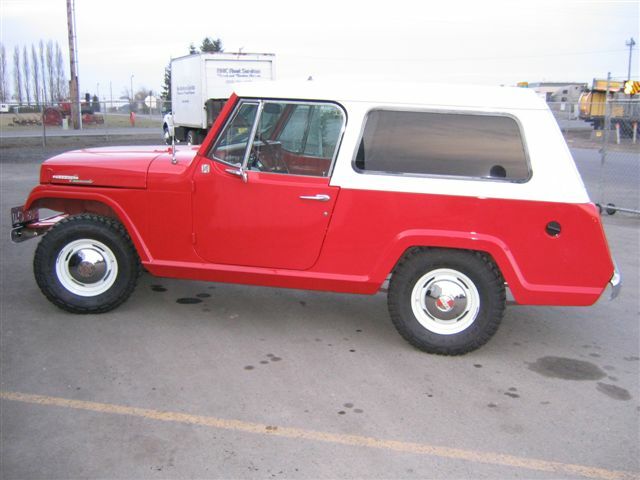 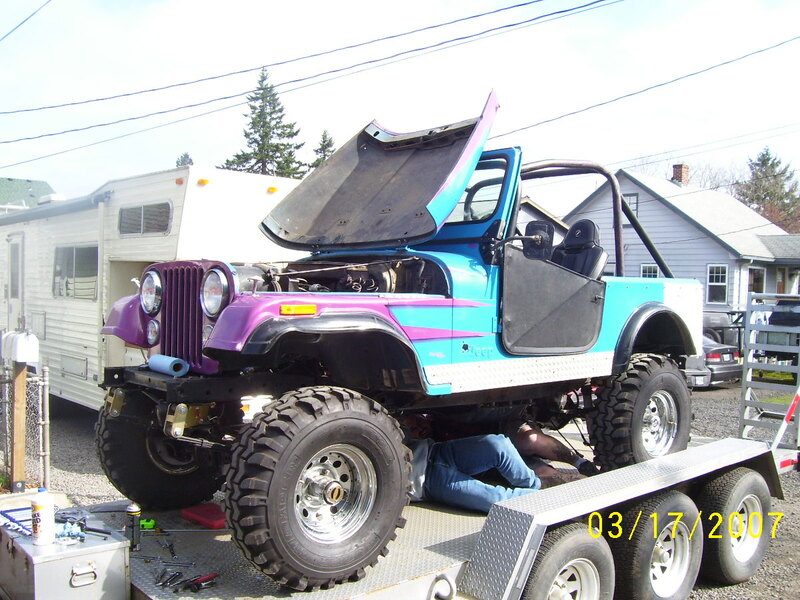 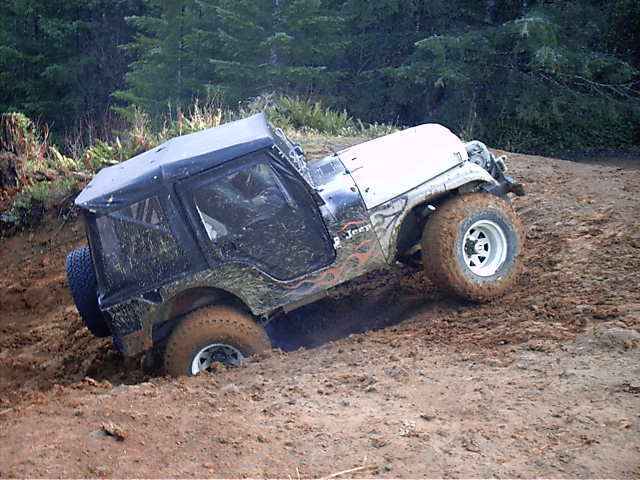 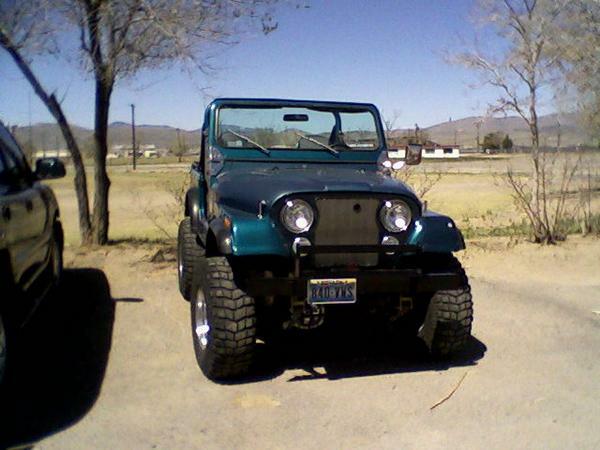 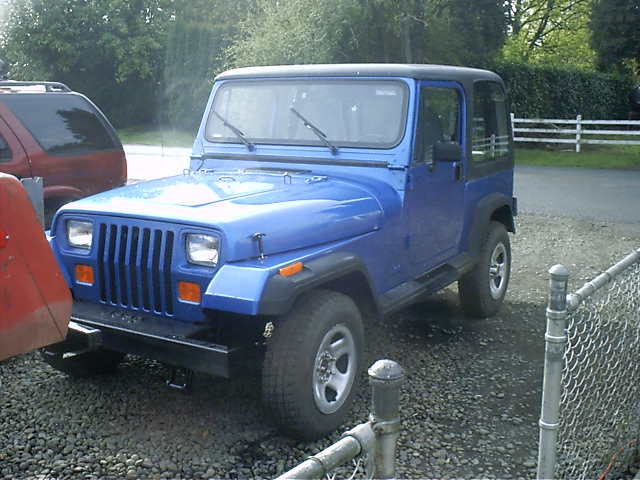 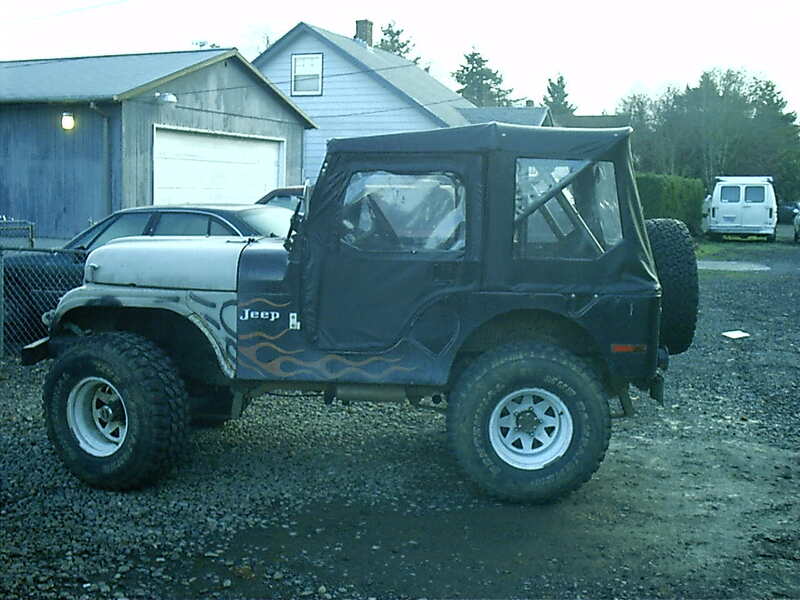 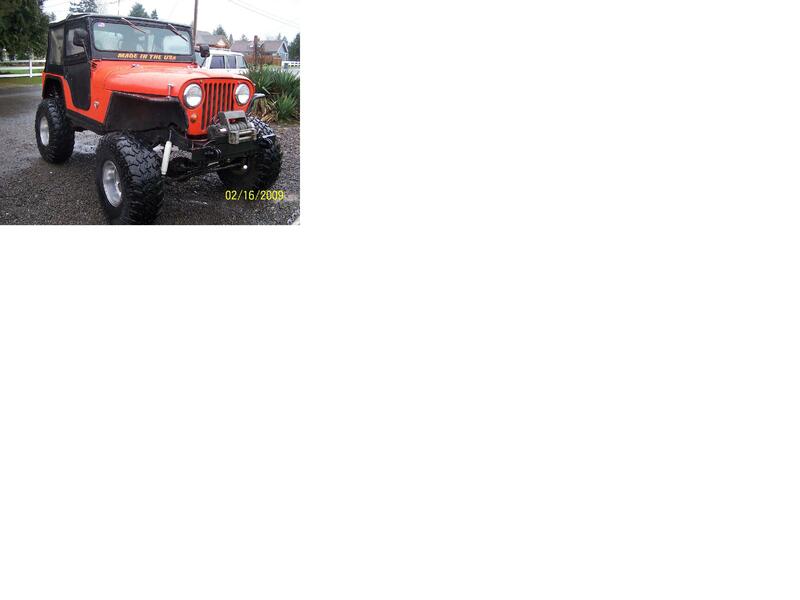 it is half cj and half jeepster as you can see by the front end. 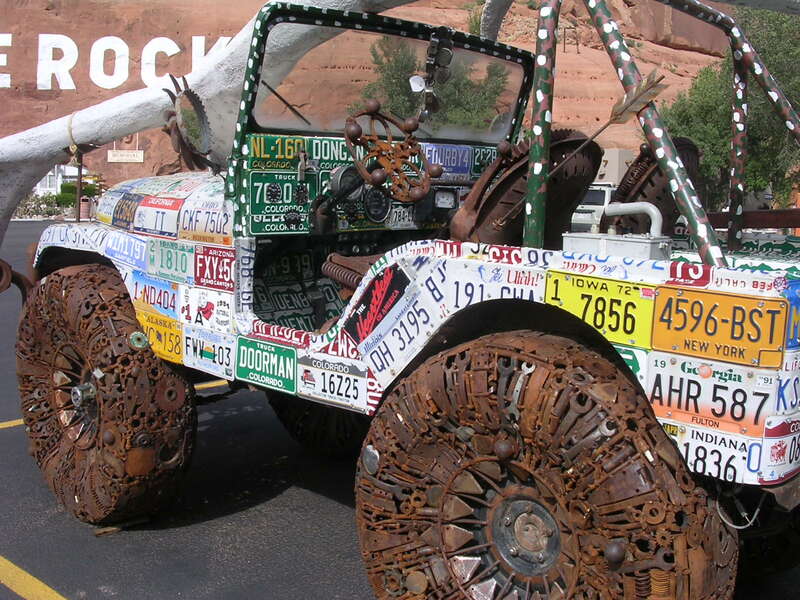 also the license plate jeep at Moab. 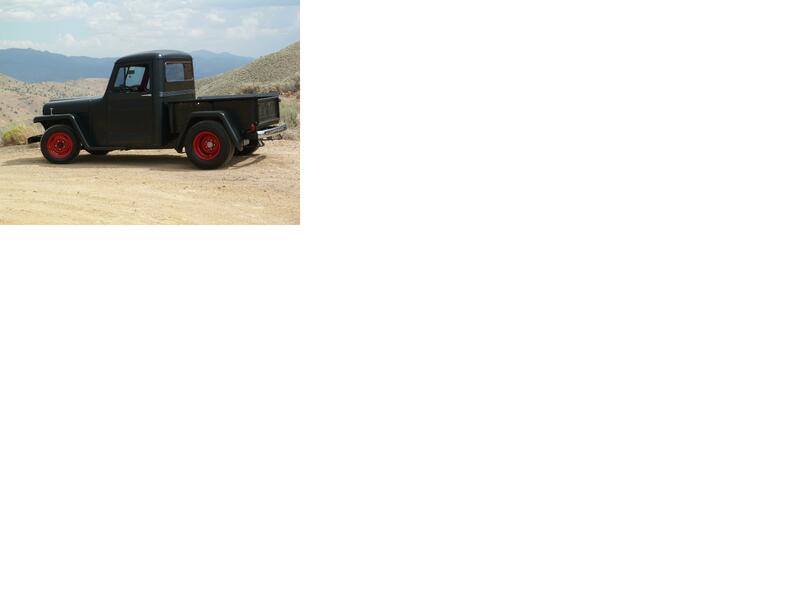 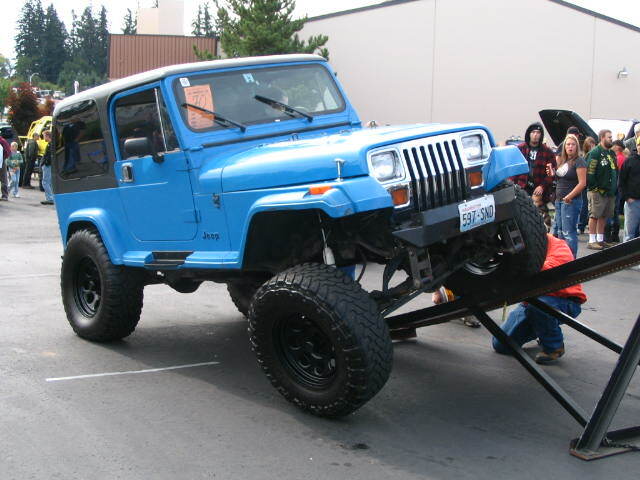 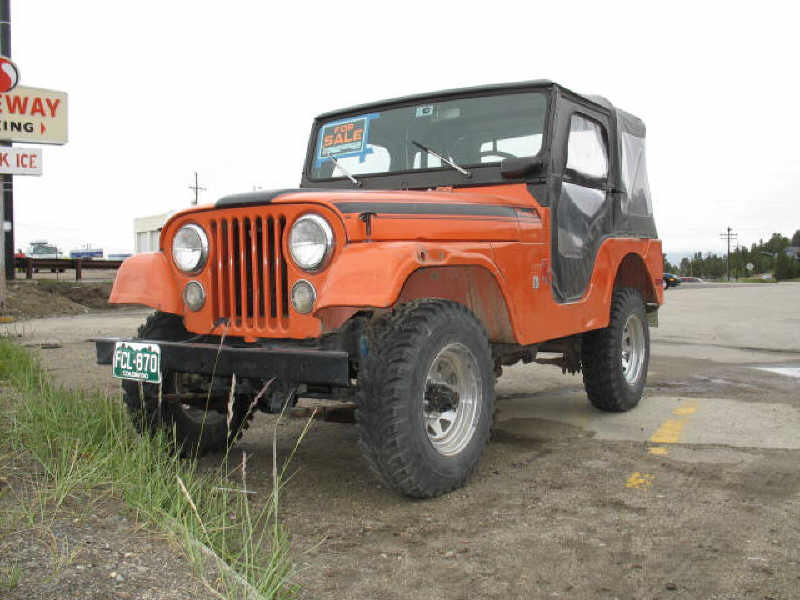 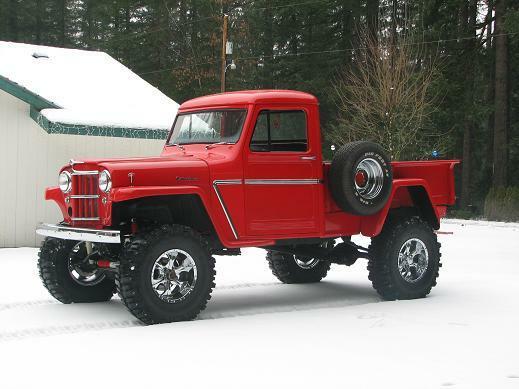 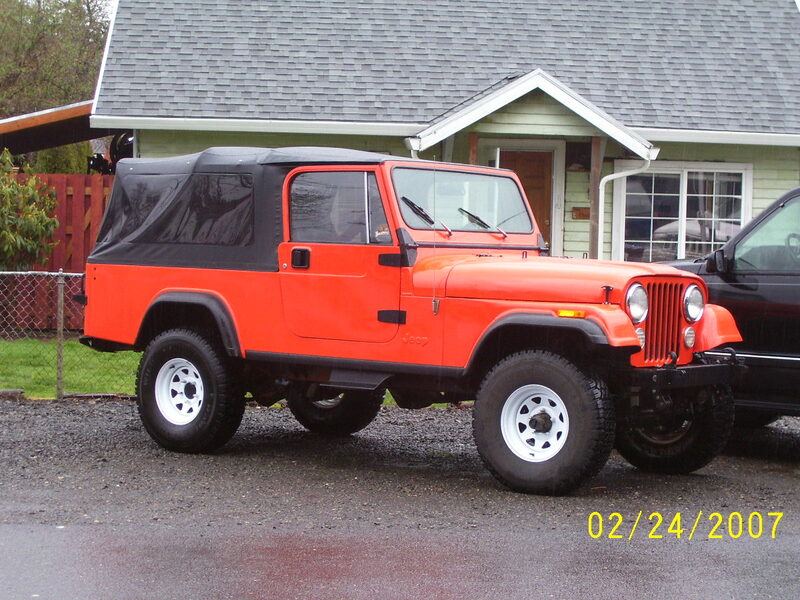 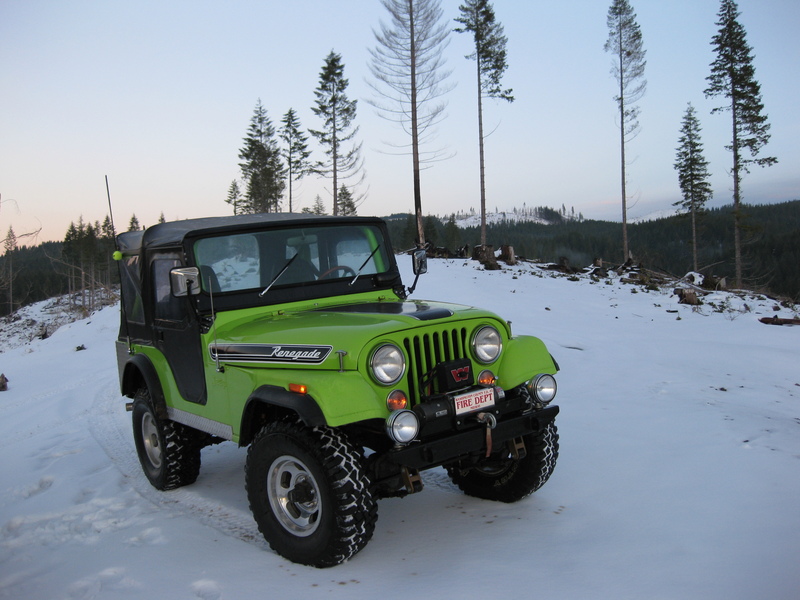 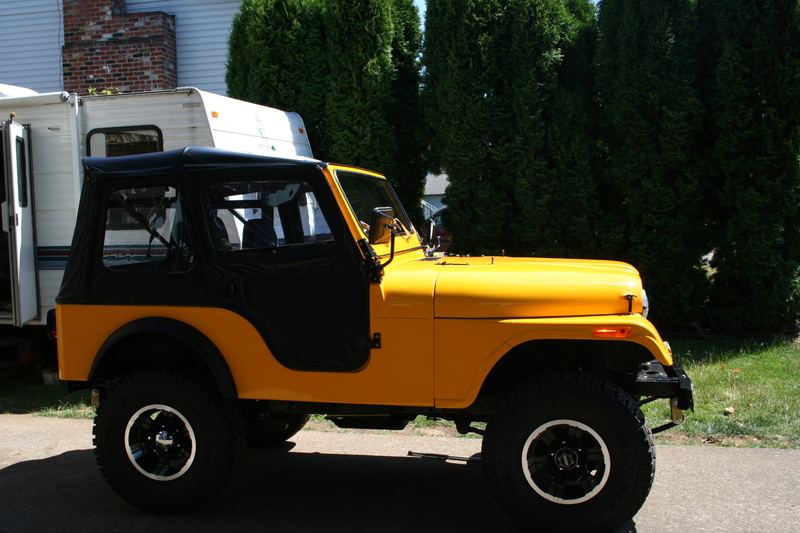 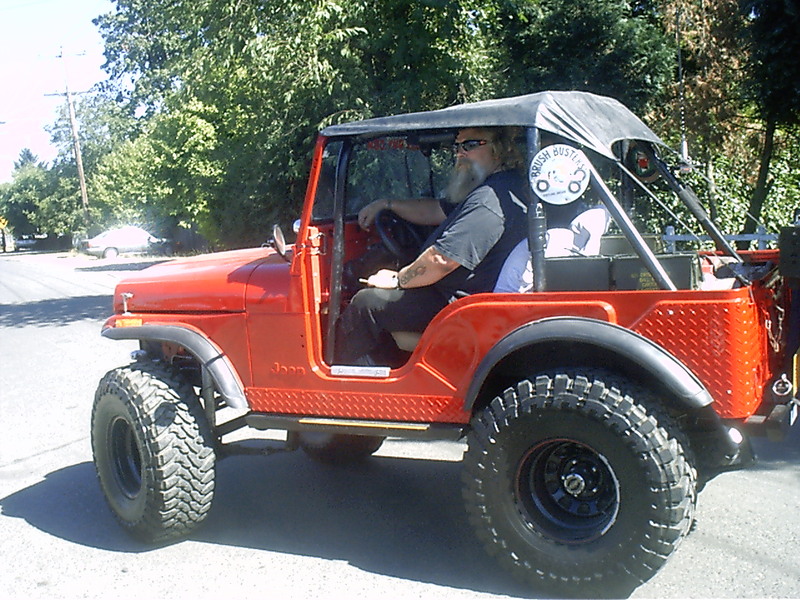 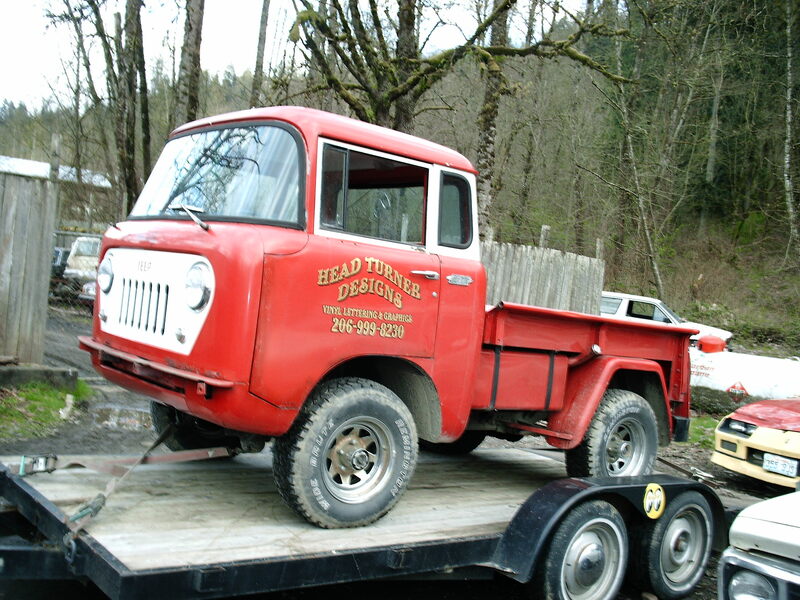 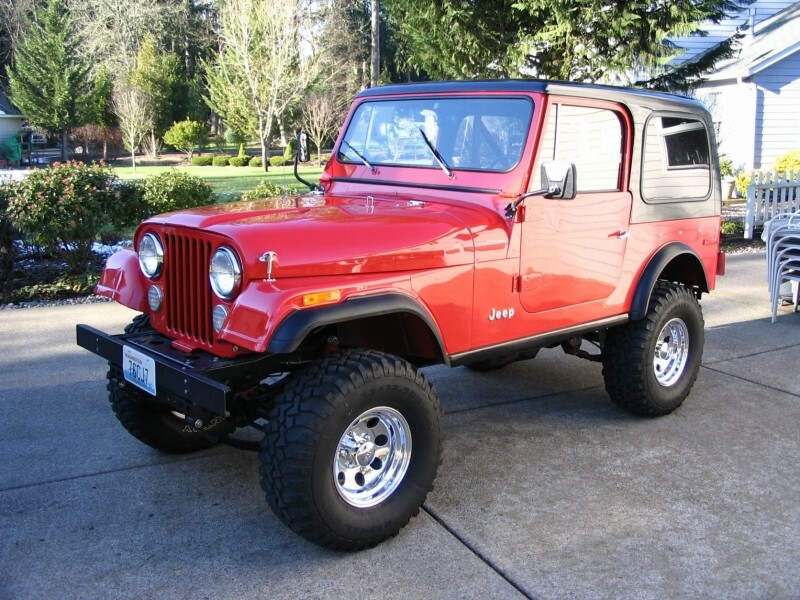 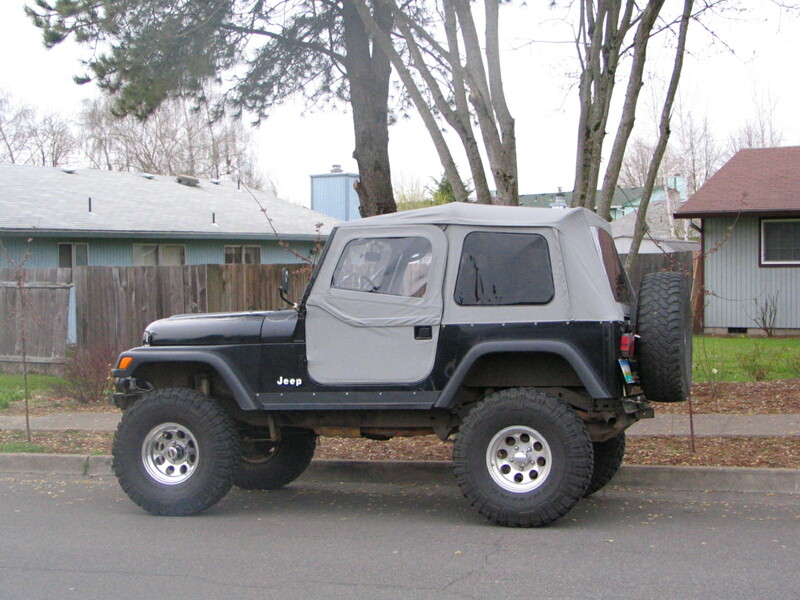 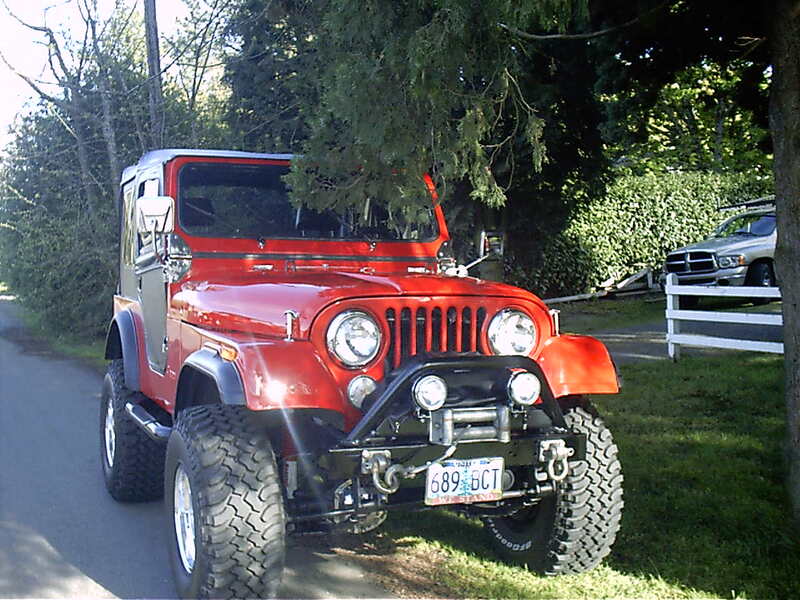 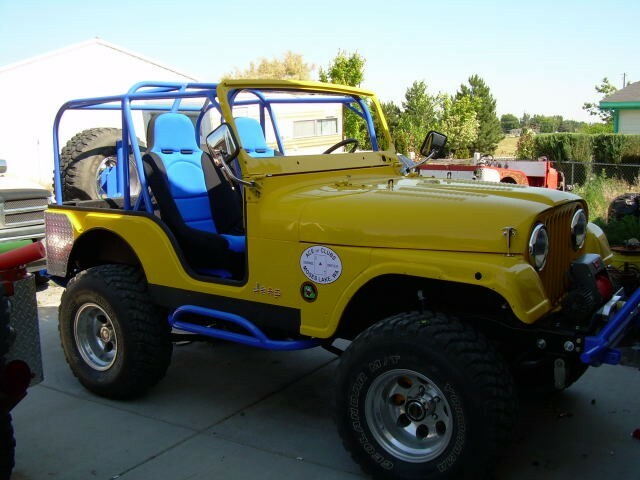 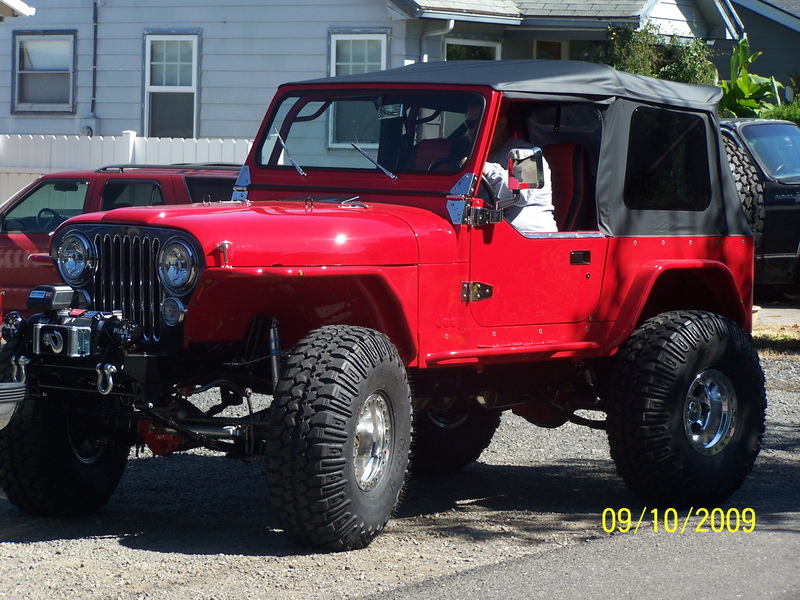 This Jeep was sold to a friend and was completed as more of a street rod than a wheeler. 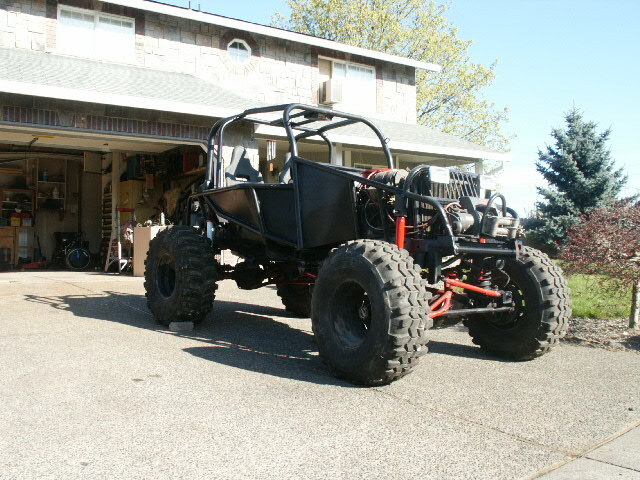 THIS RIG HAS A 225 BUICK V6 T-18 4 SPD WARN OVERDRIVE WARN 8200 WINCH POWER STEERING 4 WHEEL DISC BRAKES CUSTOM FULL FLOATER REAR POWER LOCK 4.27 GEARS ALL THIS AND A CUSTOM FLAME JOB. 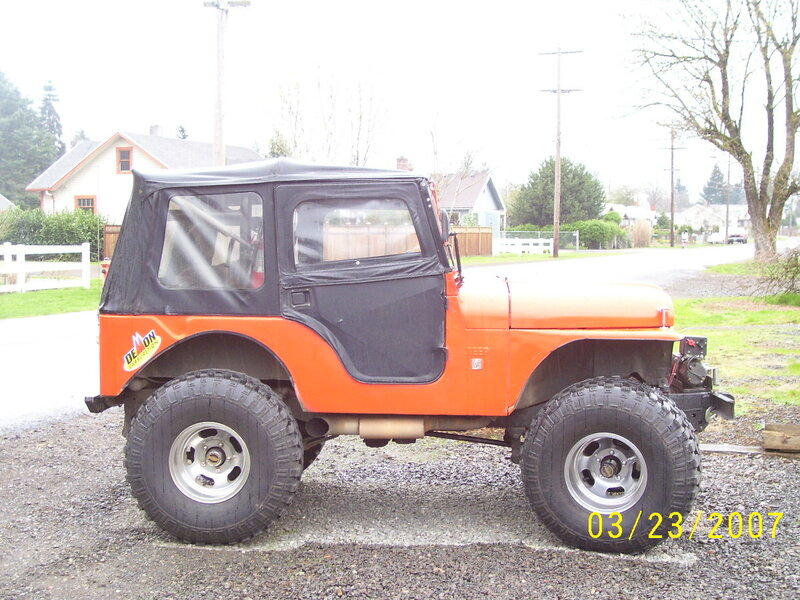 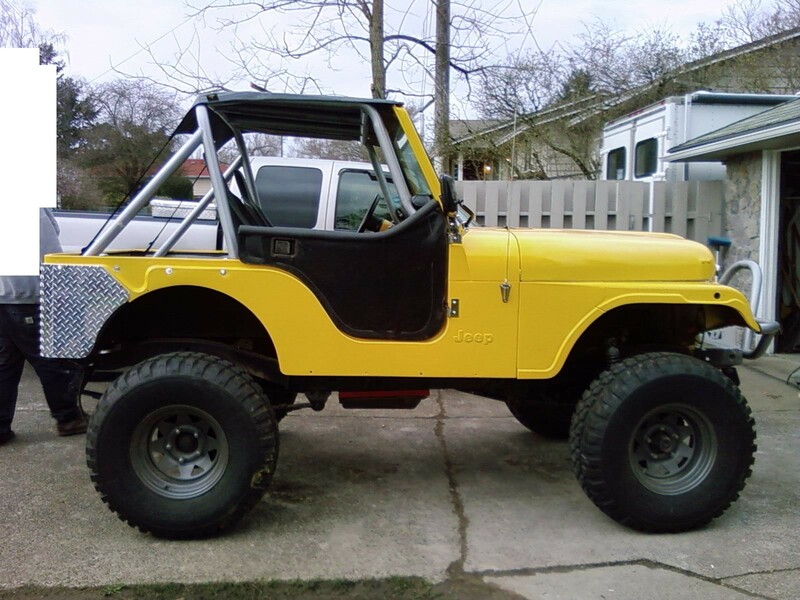 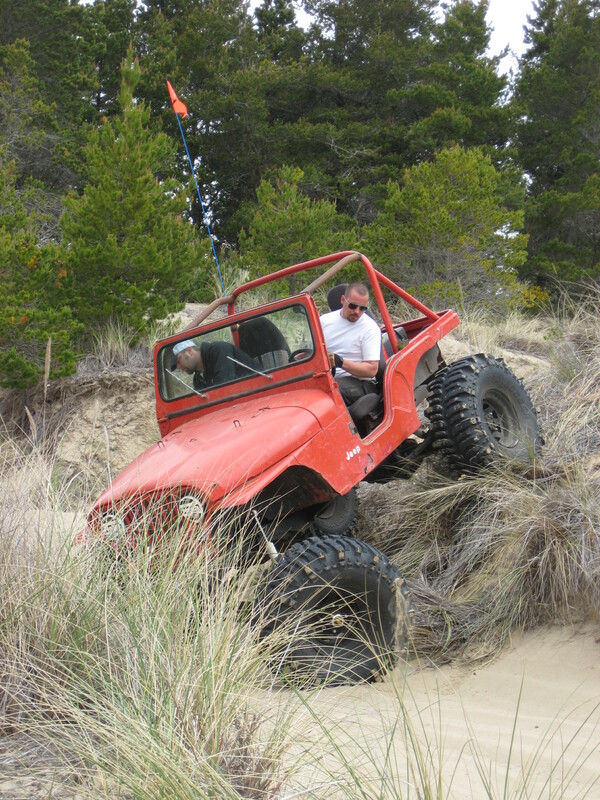 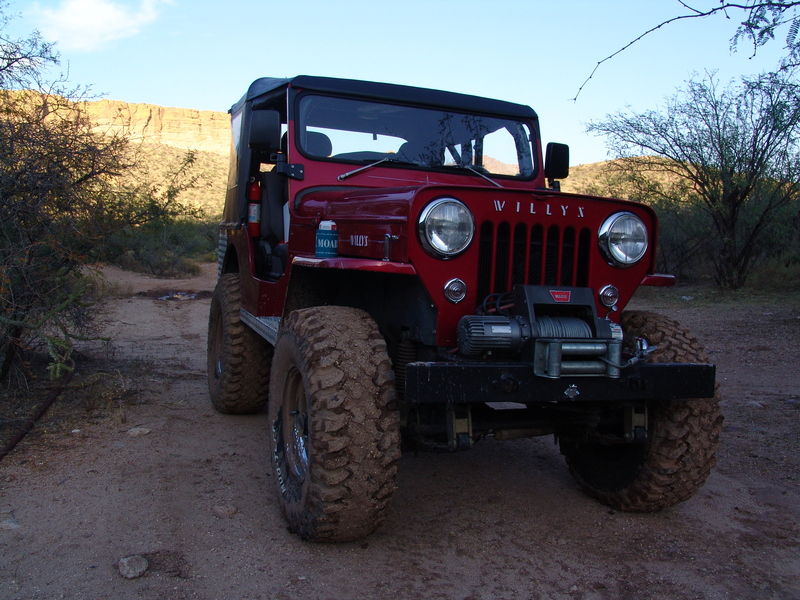 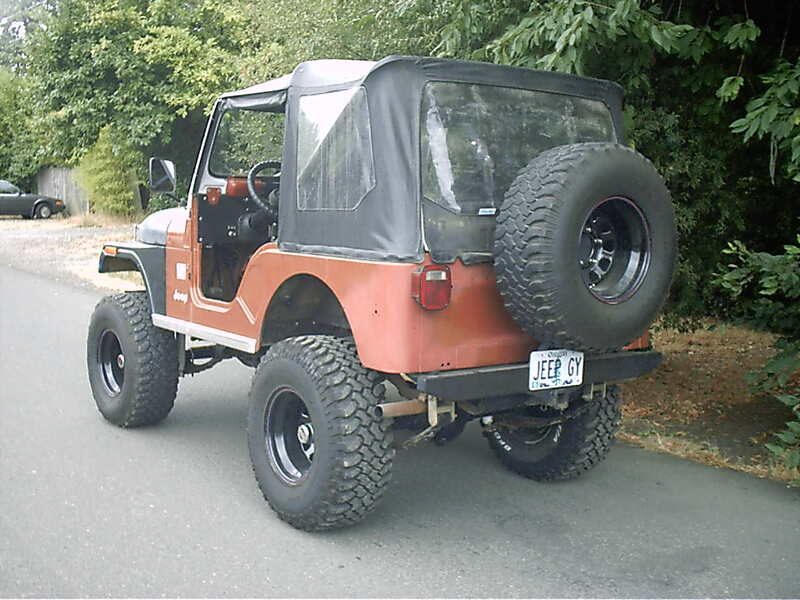 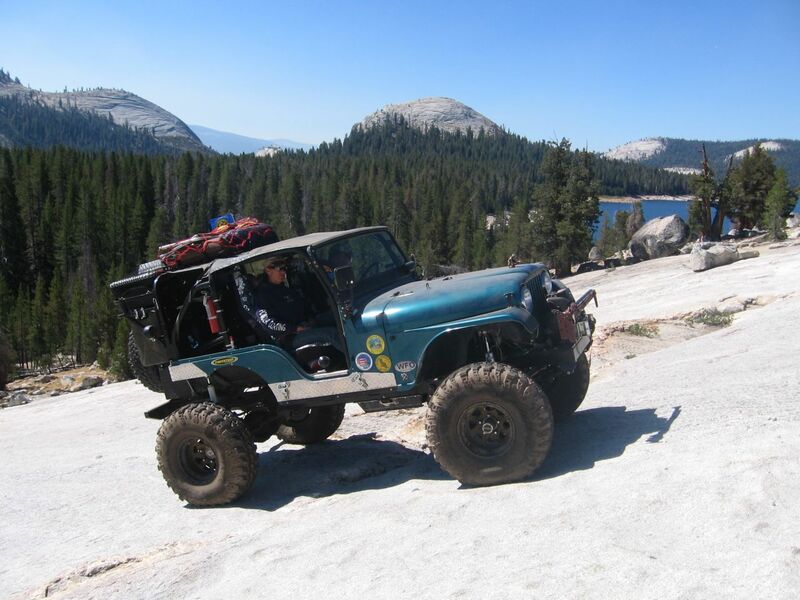 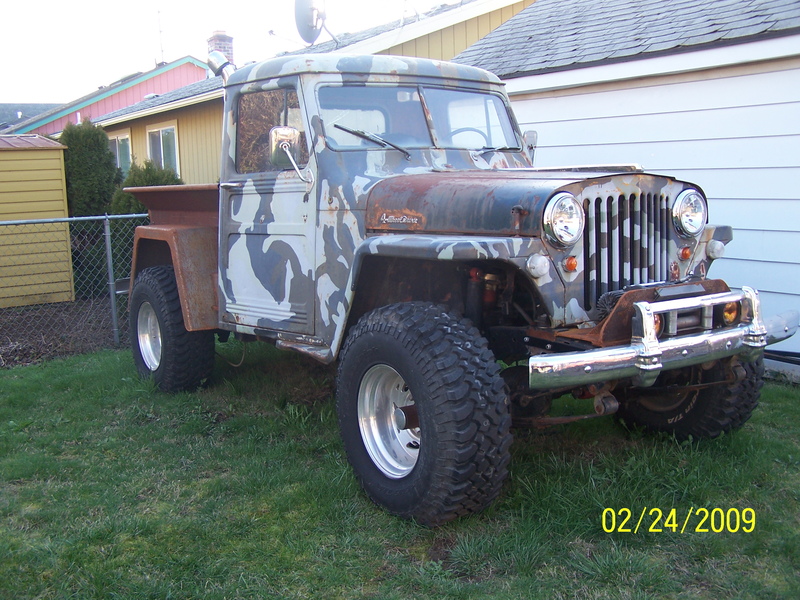 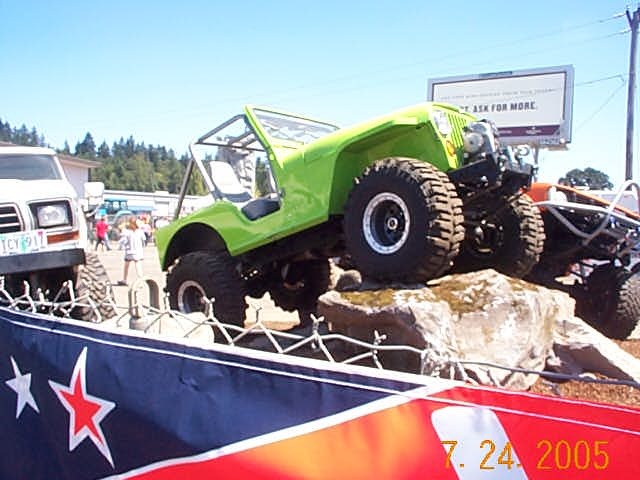 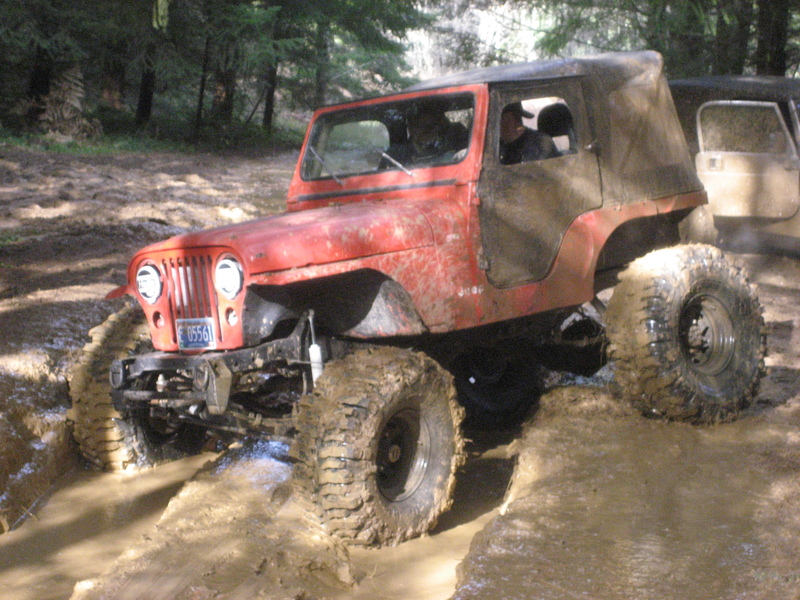 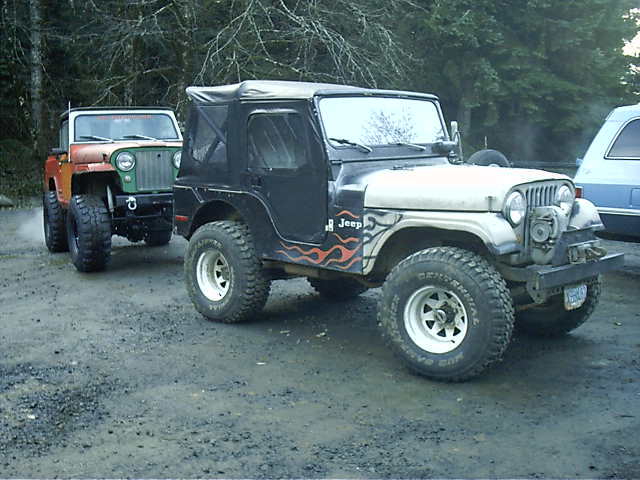 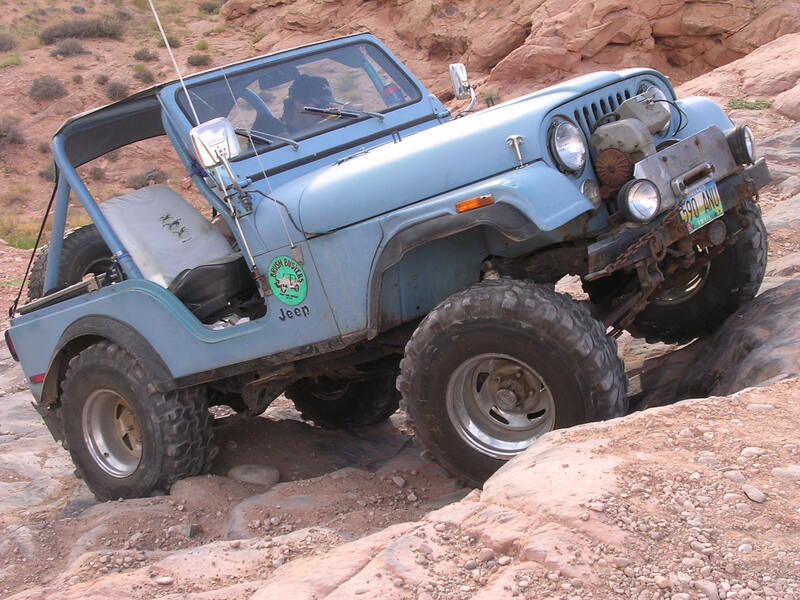 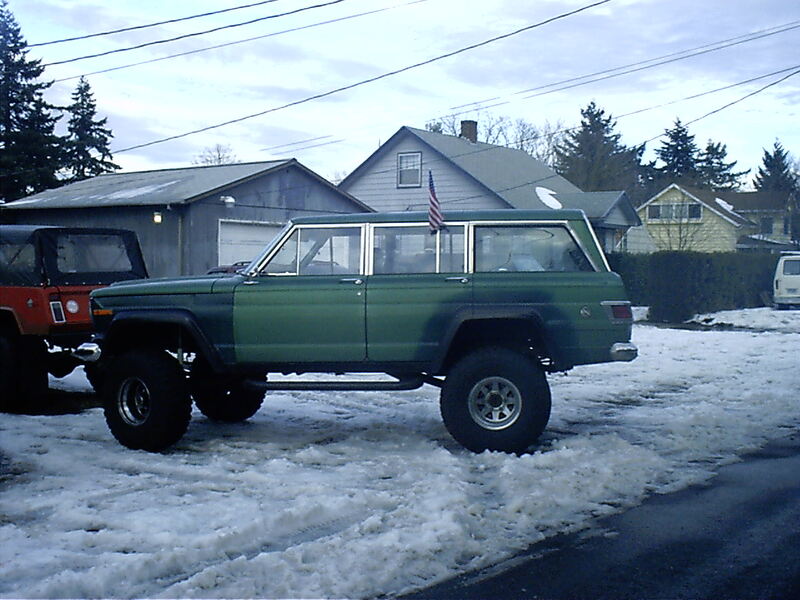 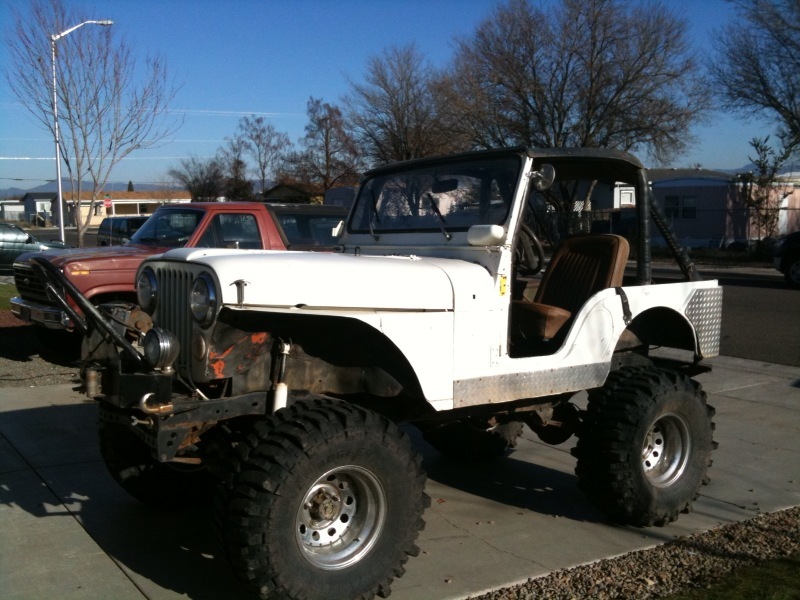 THIS IS BASED FROM A 73 WAGONER AND HAS WIDE TRACK DANA 44'S AND HAS HAD FRONT FENDERS AND REAR FLARES ADDED FROM A J10 PICKUP. 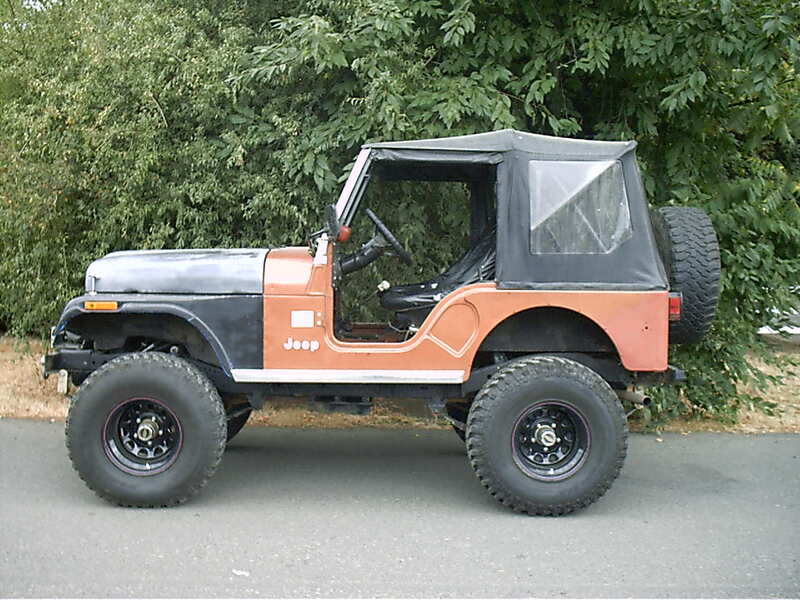 THIS HAS A 360 T-18.